It isn’t that the flagstone-paved street is reserved for pedestrians. 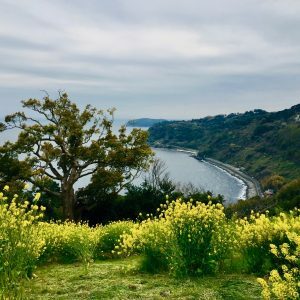 There are plenty of cars going up and down the hill, known as “Oranda-zaka” or “Hollander Slope,” after the foreign residents who could be seen walking to and from the church that used to stand at the top of the hill. Rather, the street was deemed by the authorities to be too dangerous for cyclists, and hence the bicycle ban. This particular “Oranda-zaka” is not the only treacherous road in this city of hills, and neither is it the only one known as “Hollander Slope.” There are many other such thoroughfares weaving their way to the foreigners’ quarters, perched high above the hustle and bustle of the port and town center. One of several “Oranda-zaka” hills in Nagasaki. In Nagasaki, which was for centuries Japan’s main gateway to the outside world, the word “Oranda” or Holland, came to mean all things foreign, after the Dutch who were given special permission to trade through Nagasaki during Japan’s period of seclusion (1633-1853). 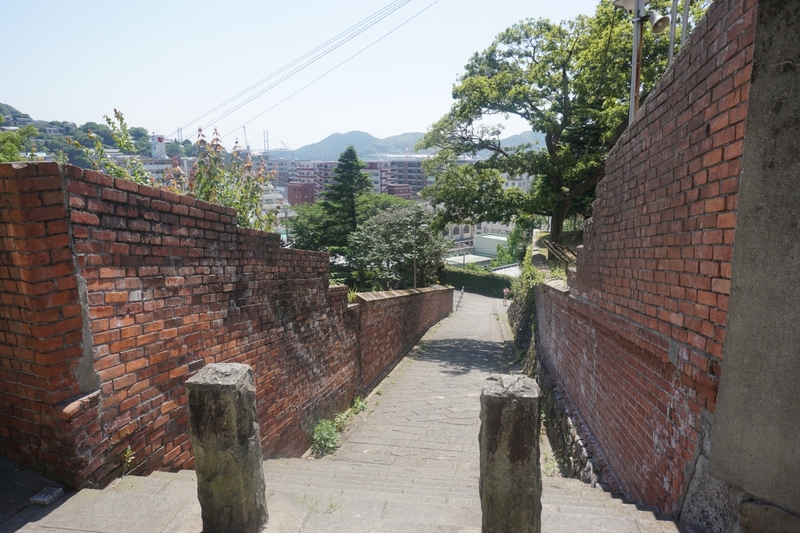 The Dutch however were not the only foreigners to populate Nagasaki and leave their distinctive mark on the city, as we found at Glover Garden, our first port of call on a recent visit there. 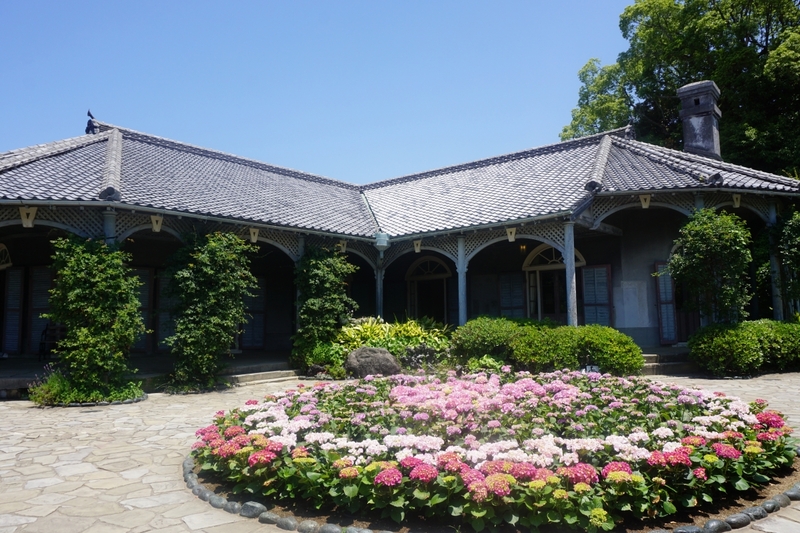 An open-air museum situated on a high hill in Nagasaki’s Minami Yamate neighborhood, Glover Garden is where western-style houses and other historic relics that tell the history of western influence on Nagasaki are neatly preserved. 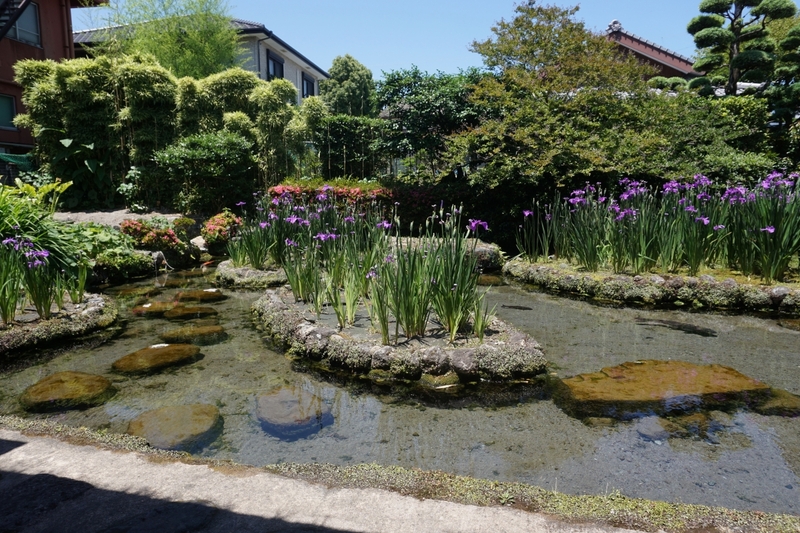 The garden itself takes its name from the former house of Thomas Blake Glover, a Scotsman who came to Nagasaki in 1859, after Japan opened its ports to the outside world, and went on to great success in his businesses of shipbuilding, coal mining and trading. 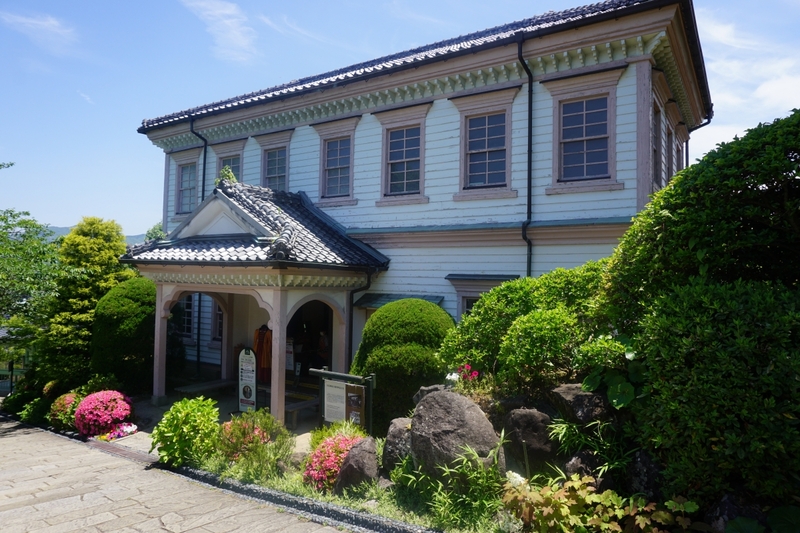 The former Glover house is the oldest western-style wooden building in Japan and is believed to be the original setting for Puccini’s opera, Madame Butterfly. Built in 1863, the former Glover House is shaped like a clover and has no formal main entrance. Glover Garden contains several other buildings of historic interest, some of which were not originally located in the vicinity, such as the former Mitsubishi Number 2 Dock House, where ship crews would rest while their vessels were under repair, and the former Nagasaki District Court President’s official residence. The Nagasaki District Court President’s former residence combines elements of Japanese and western architecture. 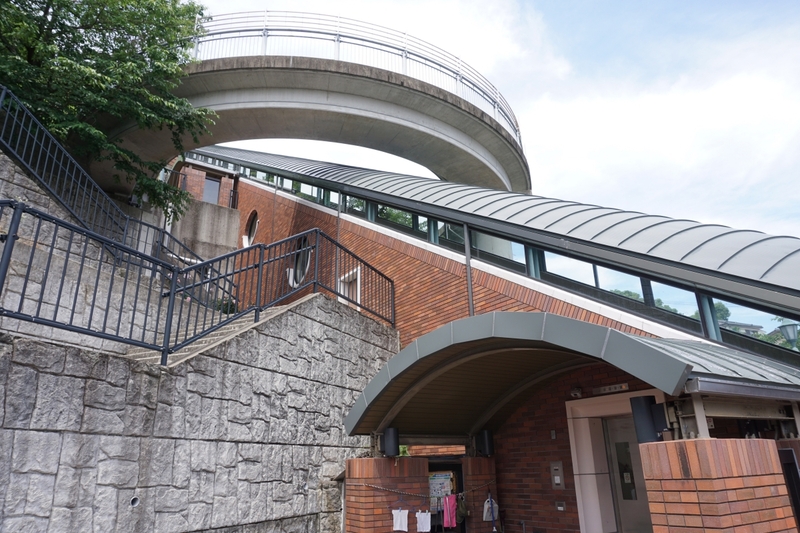 Getting to the main entrance of Glover Garden requires a hike up a rather steep hill, so we decided to avoid this by taking the number 5 tram to Oura Tenshudo-shita station. There, we transferred to the Glover Skyroad, an elevator that moves diagonally like an escalator, and then took another elevator, which brings visitors within steps of the garden’s back entrance, or number 2 gate. The “elevator” to the Glover Garden is an eyesore but invaluable for elderly residents of this hilly neighborhood. After strolling through Glover Garden, a collection of elegant western style houses set amid flower beds and ponds, we left through the main entrance. 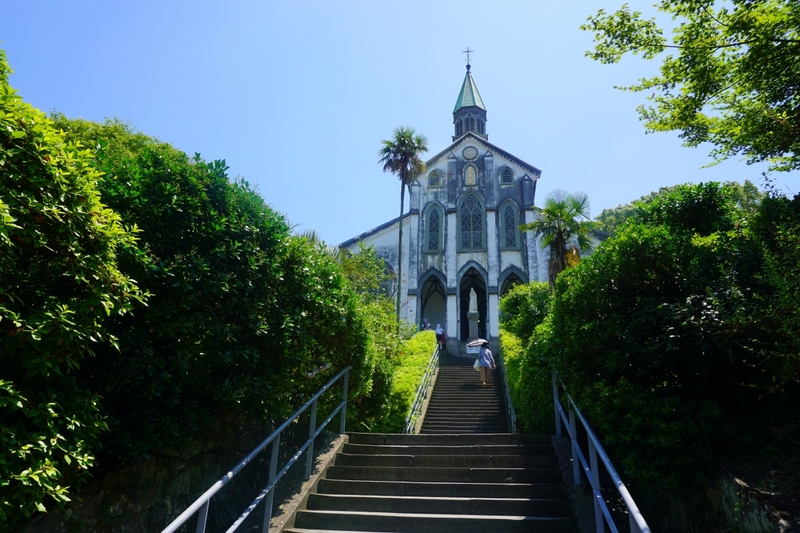 From there, it is a short walk to Oura Tenshudo (Oura Cathedral), the oldest wooden Gothic-style church in Japan, which was built in 1865 to honor the 26 martyrs who were crucified in Nagasaki by the feudal lord, Toyotomi Hideyoshi. Oura Tenshudo Church has a ribbed vault and stained glass windows, but photography is prohibited inside. The story goes that one day, a group of Japanese women approached the Church’s founder, Father Petitjean, and told him that they were Christian, an astonishing revelation since Christianity had been banned in Japan for more than 200 years and Christians had been severely persecuted until Japan ended its seclusion policy in 1853. The women were descendants of early Japanese Christians who went into hiding and practiced their faith secretly. The Oura Church was built by master carpenter, Hidenoshin Koyama, who also built the Glover Residence. After a quick lunch, we set off to Dejima, a man-made island on Nagasaki Bay, which served as the sole trading post connecting Japan with the rest of the world. 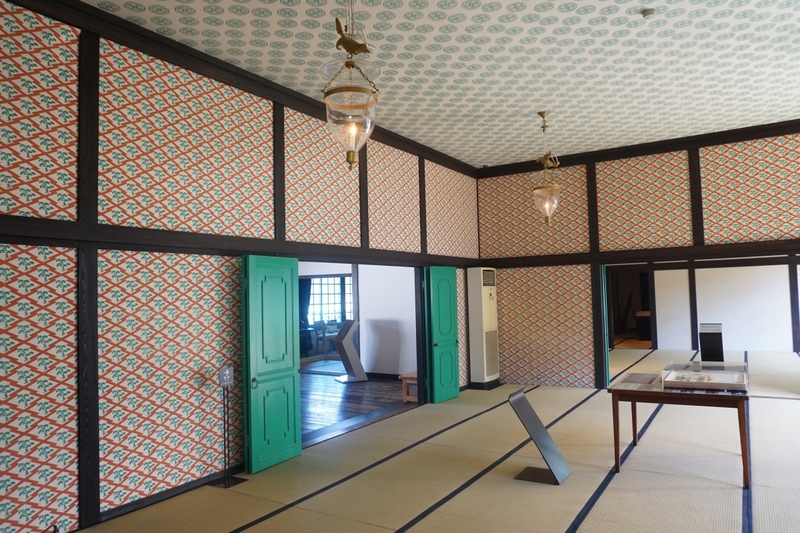 Unfortunately, none of the original merchants’ houses, warehouses or administrative buildings has survived and Dejima today is made up almost entirely of replicas of the original buildings. Still, the influence of foreigners and the crucial role of Nagasaki in Japan’s trade with the outside world is well documented, and it was fun to be greeted by a young “samurai” in period costume at the gate and see the reconstructed interiors of some of the merchants’ homes. The interior of the Chief Factor’s residence. As Japan’s gateway to the outside world, Nagasaki developed distinctive dishes, such as champon, a bowl of Chinese-style noodles topped with vegetables and seafood, and sweets, such as castella, a sponge cake based on a Portuguese recipe. 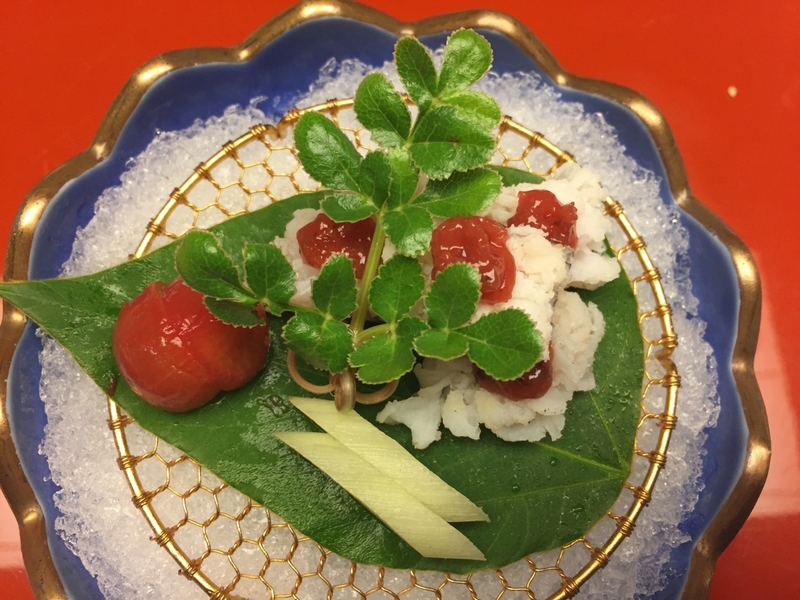 Less known is the style of Nagasaki cuisine called shippoku, which is a mixture of Japanese, Chinese and western dishes commonly shared among a large group of diners. Since it is not widely available elsewhere, we decided to go for a high-end shippoku meal at Kagetsu, one of the best-known shippoku restaurants in Nagasaki. Kagetsu’s entrance is at the back of a short alley in the bustling Maruyama district. 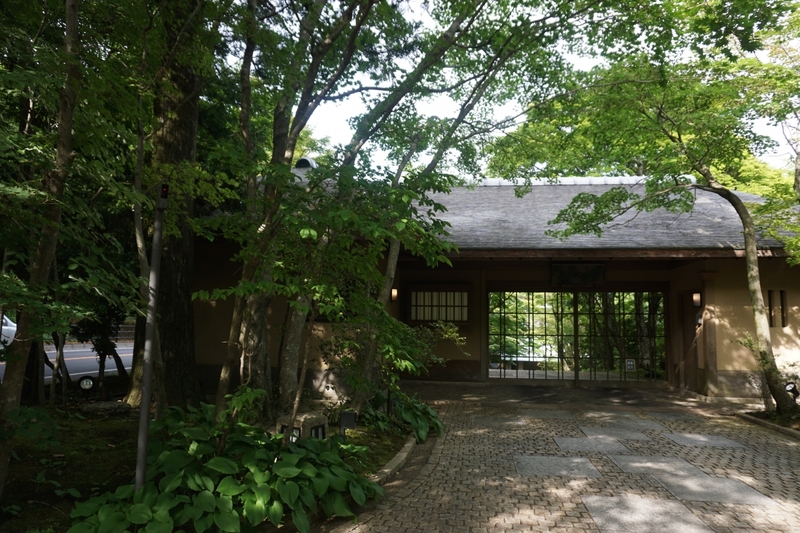 Kagetsu first opened its doors to guests in 1642 and was frequented by both Japanese and foreigners alike. Housed in a beautifully preserved traditional Japanese wooden building, the 360-year old Kagetsu also boasts an exquisite garden. While many of the dishes were delicious, it would be misleading to describe shippoku as haute cuisine. What makes shippoku interesting is the mixture of different cooking styles and ingredients, which makes it Japan’s earliest fusion cuisine. After dinner, we set off to take in Nagasaki’s famous nightscape from the top of Mt. Inasayama. Alas on this particular night, we were defeated by the dense fog that obstructed our view. We were more than compensated for that disappointment when we arrived at our hotel, the Nagasaki Garden Terrace, which is perched on a slope on the way to the Mt. Inasayama lookout and commands a sweeping view of the city below. The lobby of the Nagasaki Garden Terrace. The facade of one of the two main buildings of the Nagasaki Garden Terrace. 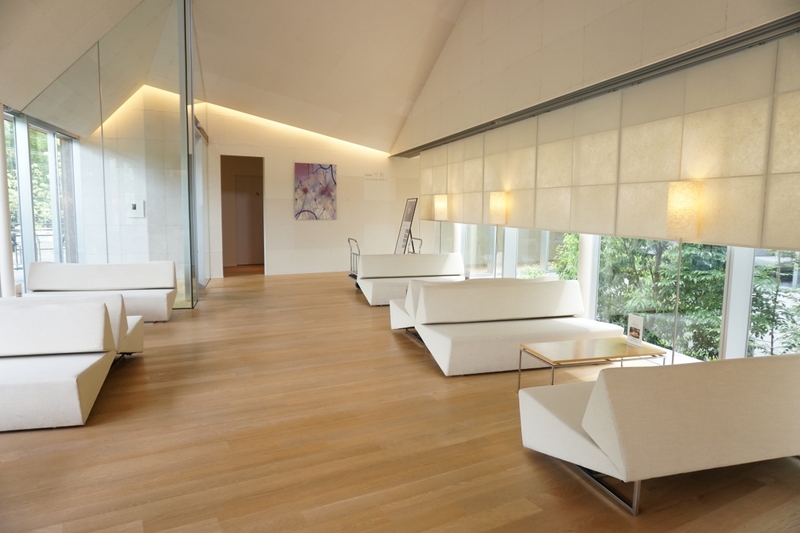 Designed by world-renowned architect Kengo Kuma, the Nagasaki Garden Terrace is both comfortable and chic, the staff is friendly and attentive and the food – both Japanese and western – served in its restaurant is excellent. 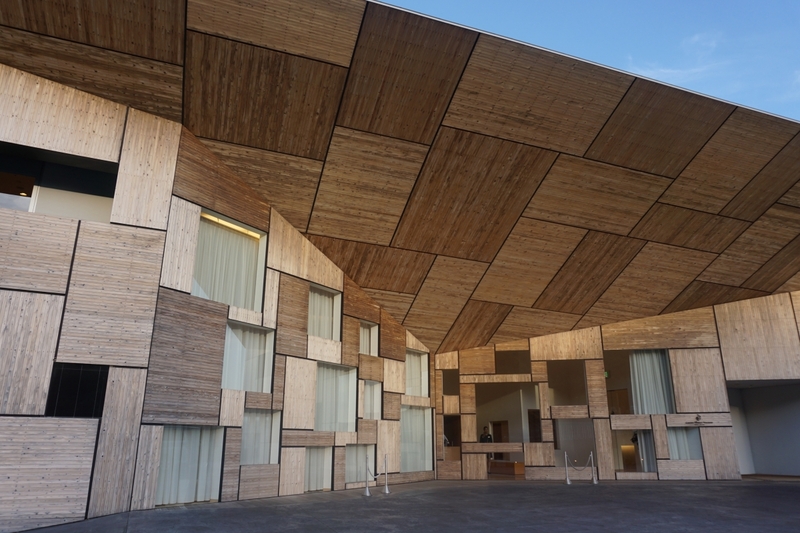 There are several other sites in Nagasaki that are well worth visiting, such as the Nagasaki Prefectural Art Museum, which was also designed by Kengo Kuma. We decided not to go inside as the featured exhibition did not appeal to us, but we enjoyed strolling around the impressive building whose design is nicely complemented by the surrounding waters. 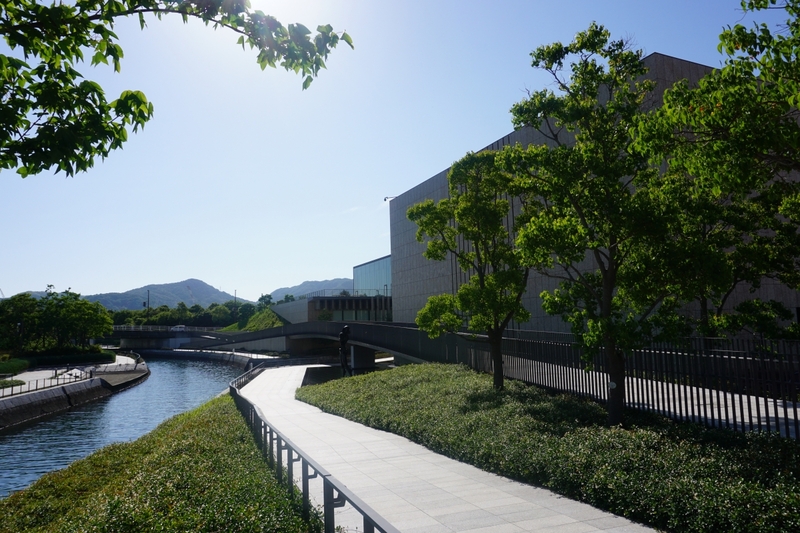 A path leading to the entrance of the Nagasaki Prefectural Art Museum. Hasami’s most famous resident pottery company is Hakusan, which makes simple, Scandinavian-inspired ceramics, mostly in white and blue. 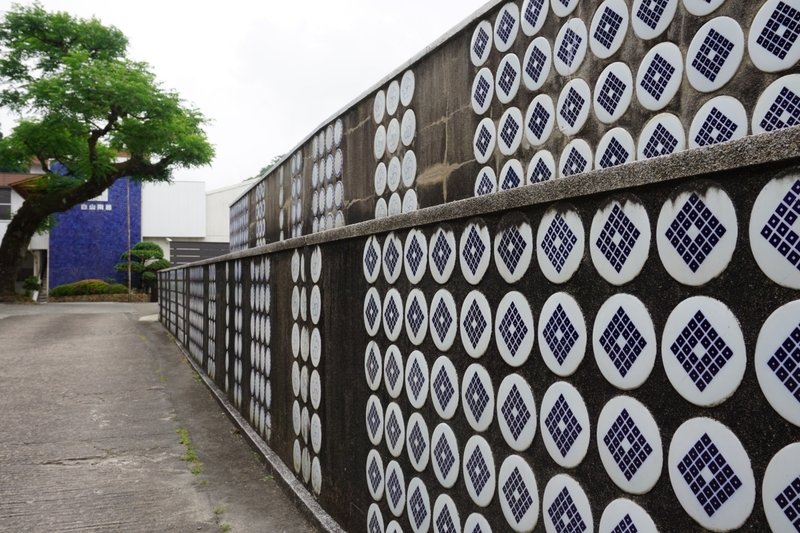 A wall outside the Hakusan pottery shop in Hasami featuring their signature blue and white ceramics. 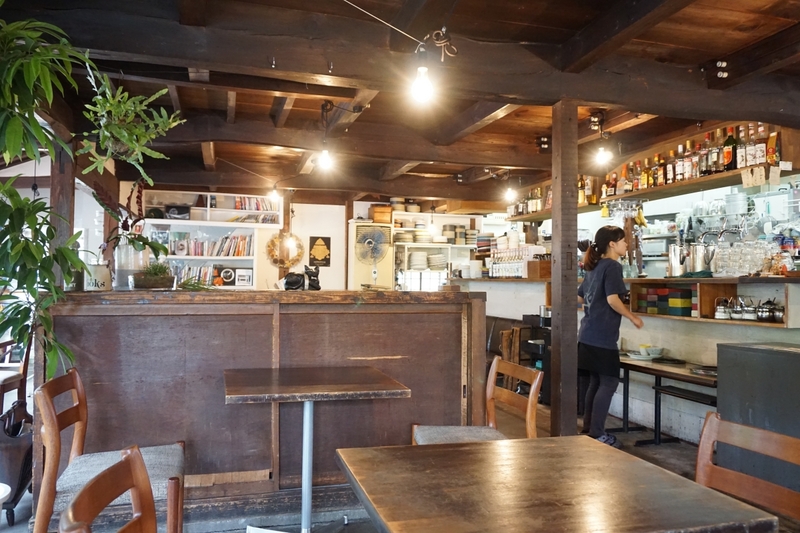 One must-see place in Hasami is the Nishinohara neighborhood where an old pottery workshop now houses shops selling crafts and knickknacks, a café and a noodle shop. The funky monné legui mooks cafe and restaurant in Nishinohara, Hasami. 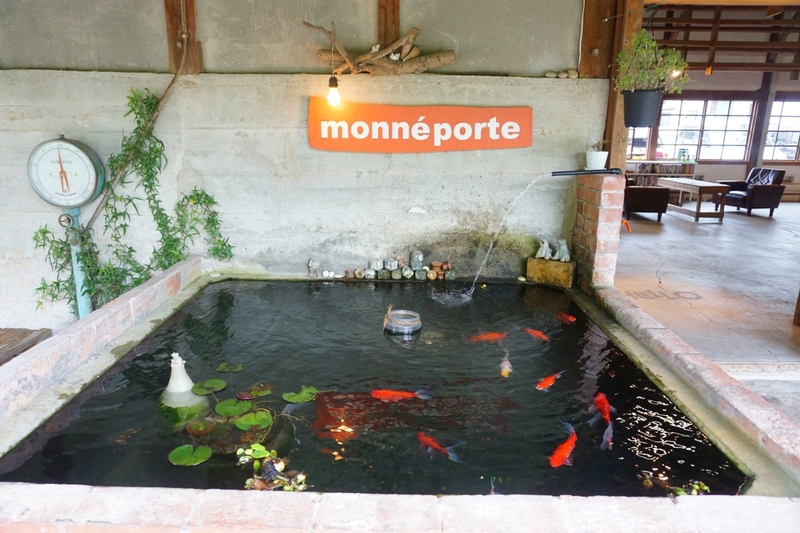 monnéporte is a stationery and knickknacks store and events space in a building that used to house the workshop’s pottery wheels. 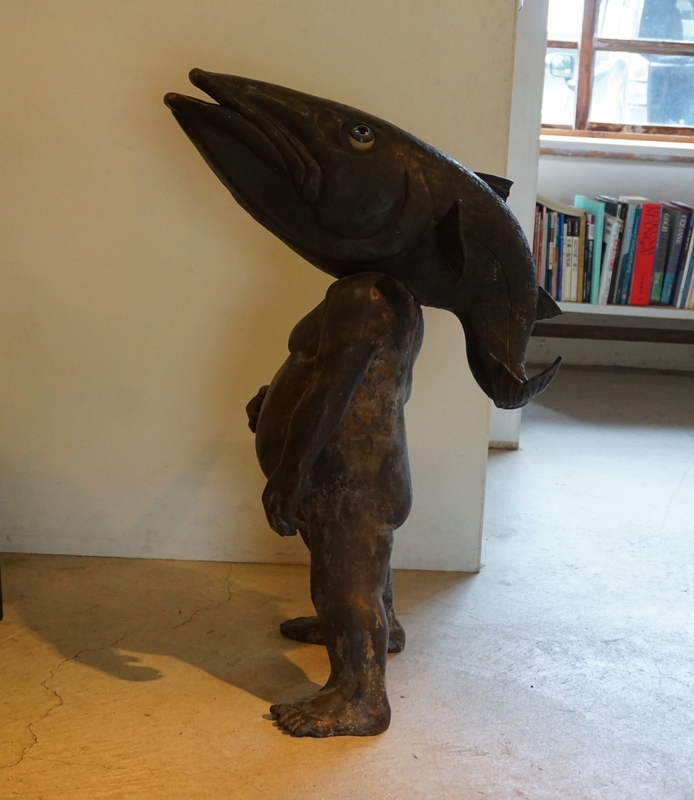 One of the objects on display in the gallery space of monnéporte. 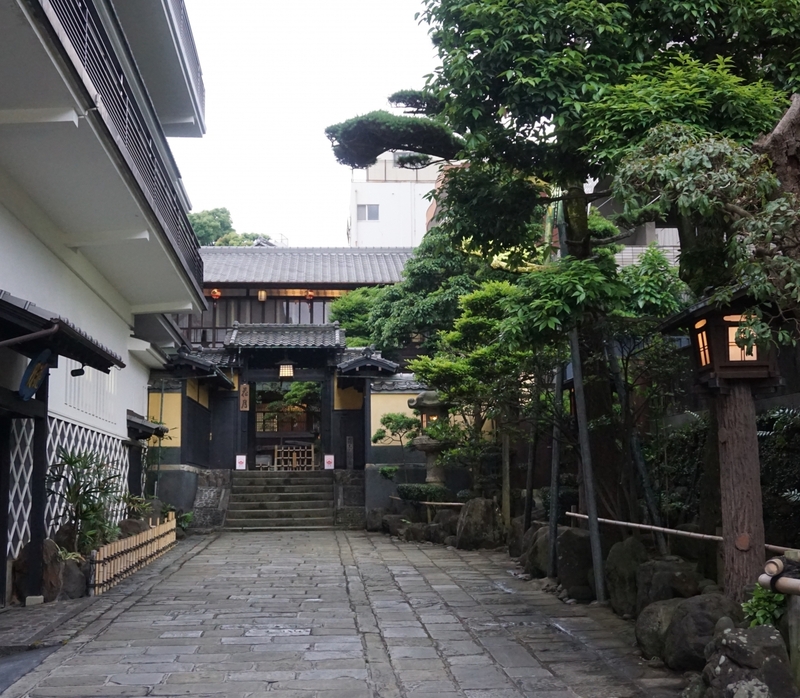 The final leg of our Nagasaki tour took us east of the city to the Shimabara Peninsula, which is famous for its spring water and hot spring baths. The peninsula itself was formed by the eruption of Mt Unzen, a large volcano comprising several adjacent and overlapping lava domes whose latest eruption, which lasted from 1991 to 1995, formed a new lava dome named Heisei Shinzan, or the new mountain of the Heisei era. 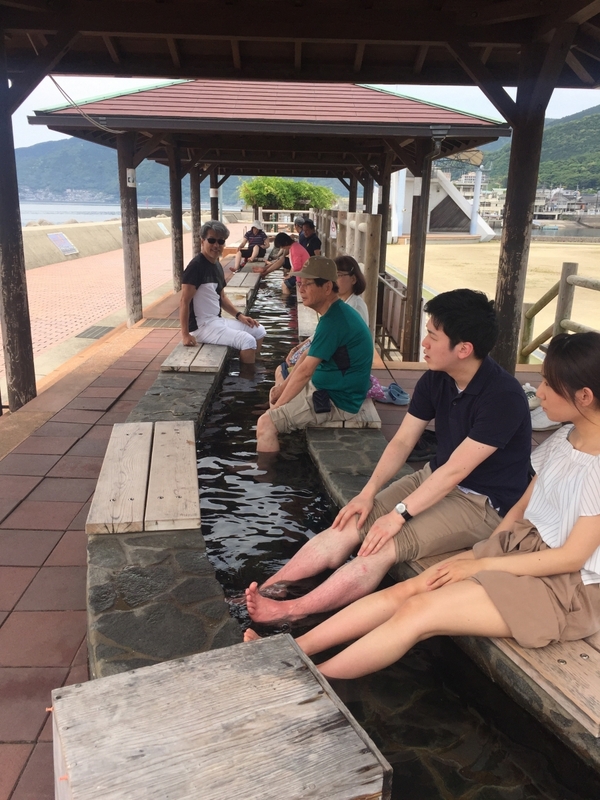 From Nagasaki, we drove down route 251, stopping at Aino and Chijiwa lookouts and Obama, a seaside hot spring resort, where we soaked our feet in the longest foot bath in Japan. The view from the Chijiwa lookout. The foot bath on Obama beach. It was a scenic drive to our destination, Unzen Onsen, a popular hot spring resort in the middle of the Shimabara Peninsula. 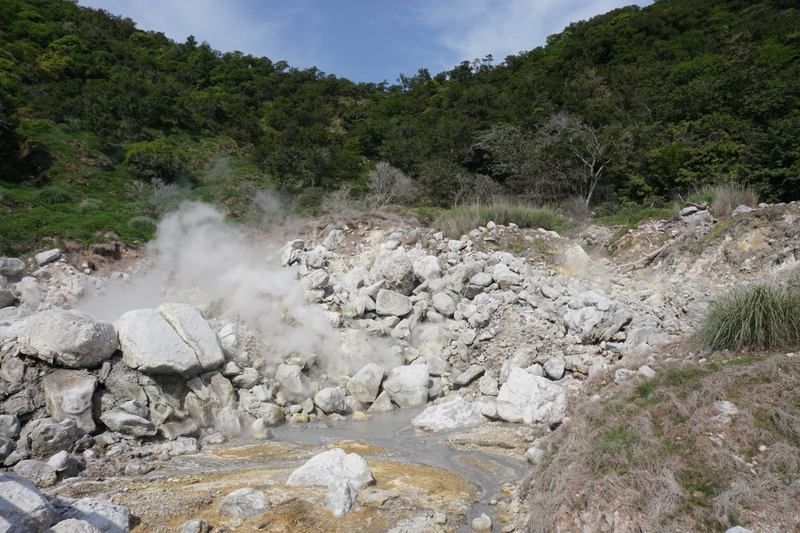 “Unzen Jigoku,” or “Unzen Hell,” is a hotbed of volcanic activity. 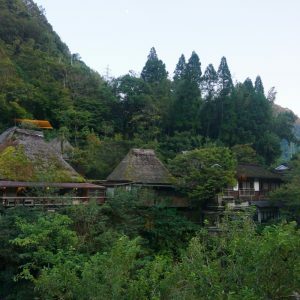 After a quick tour of the sites in Unzen Onsen we headed to our lodgings for the night, a ryokan or traditional inn, called Hanzuiryo, on the outskirts of the city. Set in lush gardens, Hanzuiryo’s 14 independent villas are the perfect setting for a relaxing Japanese vacation, complete with calming hot spring baths and delectable kaiseki meals. The gate to Hanzuiron looks traditional but opens automatically. Part of our summer kaiseki meal at Hanzuiryo – hamo (pike conger ) with plum and ginger. 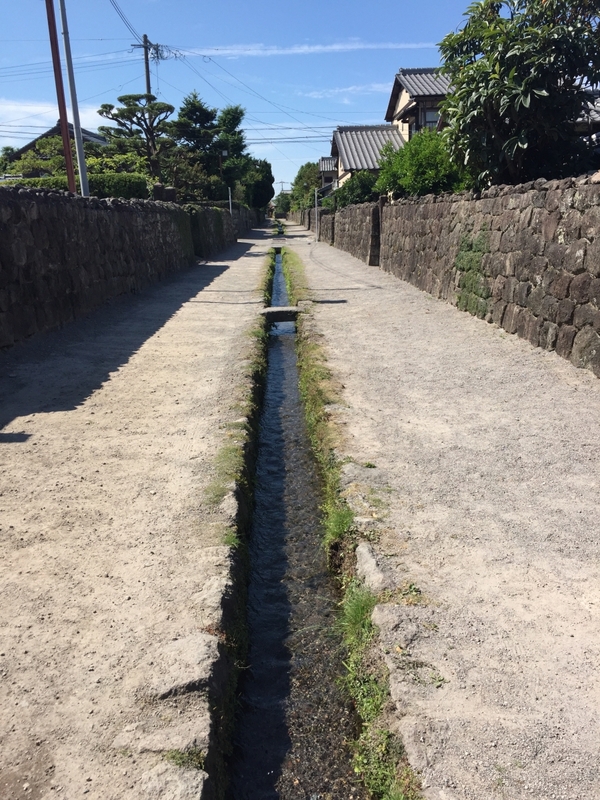 This waterway runs down the middle of the street flanked by samurai houses. Shimabara used to be a castle town and to the south of the castle (which is another popular tourist spot) there is a neighborhood where the samurai who served the region’s feudal lord lived. 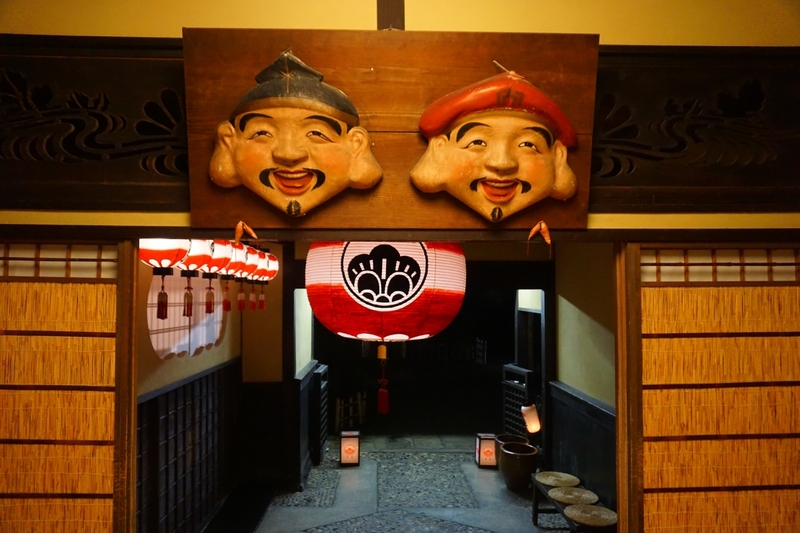 Some of these samurai houses have been carefully preserved and are open to the public. We visited one of those houses, Shimeiso, where we were greeted by a friendly lady who served us tea, free of charge, and urged us to sit on the engawa balcony overhanging the pond. The water garden at Shimeiso, a traditional house in Shimabara open to the public, where 1,000 tons of water wells up from the ground every day. 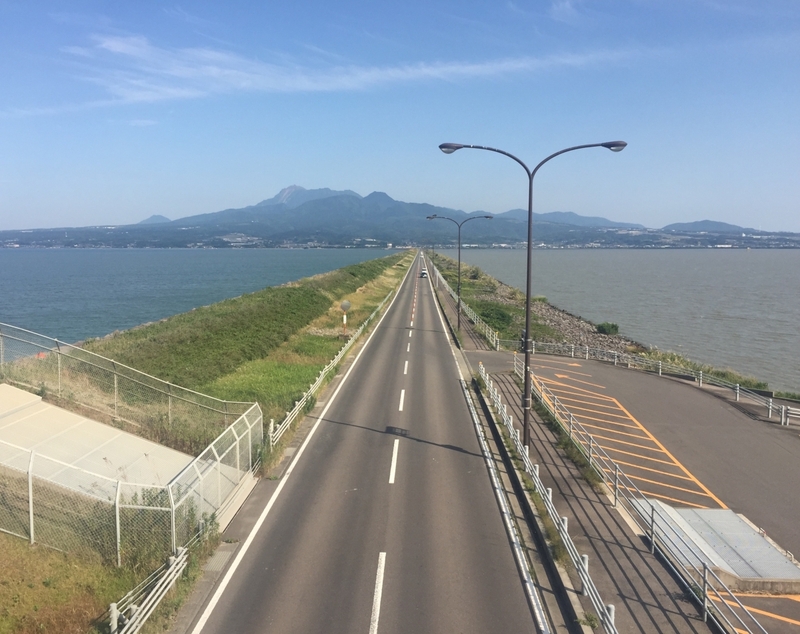 On our way back to the airport, we drove across Isahaya Bay, which is at the center of a complicated legal battle over whether or not a massive dike built by the government has reduced the catch of the local fishermen. 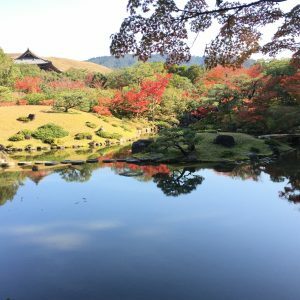 We left Nagasaki feeling that we had not even scratched the surface of all there is to see and do in this part of Japan, with its fascinating history as Japan’s gateway to the west, its eclectic culture and still evolving scenery. I am sure we will soon be planning a return visit. The flight from Tokyo to Nagasaki is just under two hours. The best way to travel within Nagasaki is to use public transport. 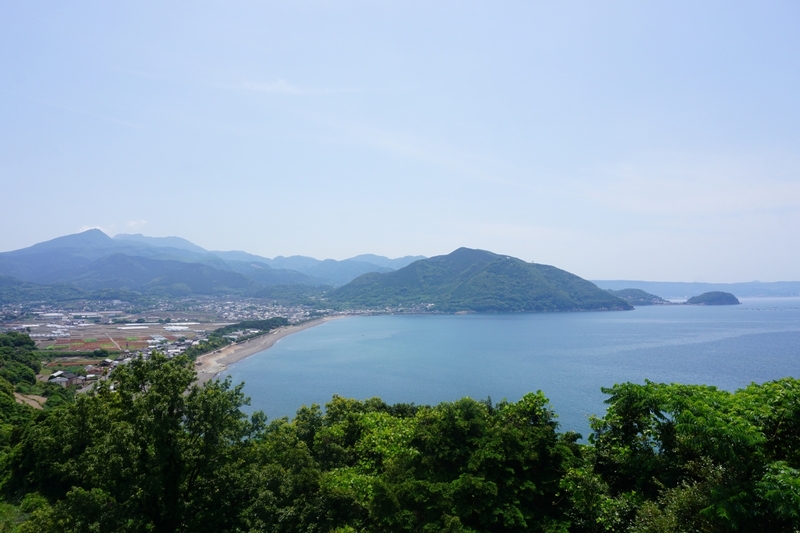 The easiest way to get to Hasami, Unzen Onsen and Shimabara is to rent a car. Hasami is about an hour from Nagasaki, Unzen Onsen is an hour and a half from Nagasaki by car, using route 251 and Shimabara is about 40 minutes from Unzen Onsen.